So, may sound weird, but my Poodle loves cat food! She really digs the fishy food. This Whiskas sardine prawn tuna and whitebait is certainly fishy. She scoffs it! 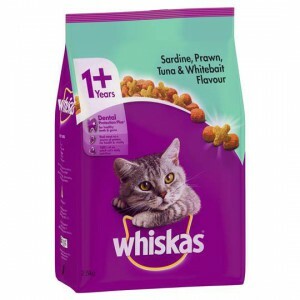 How would you rate Whiskas Adult Cat Food Sardine Prawn Tuna & Whitebait?